The ad throws subtle jabs at President Donald Trump for his recent comments about ‘s***hole’ countries in the Third World. ‘We heard there’s been some expletive-filled interest in these beautiful destinations,’ the ad begins, showing scenes from Haiti, El Salvador and Africa. As Glenn Reynolds says, “this strategy [of going to war with Donald Trump] worked out so well for the NFL and the Grammy awards”. Am I cherry-picking? Yes I am. 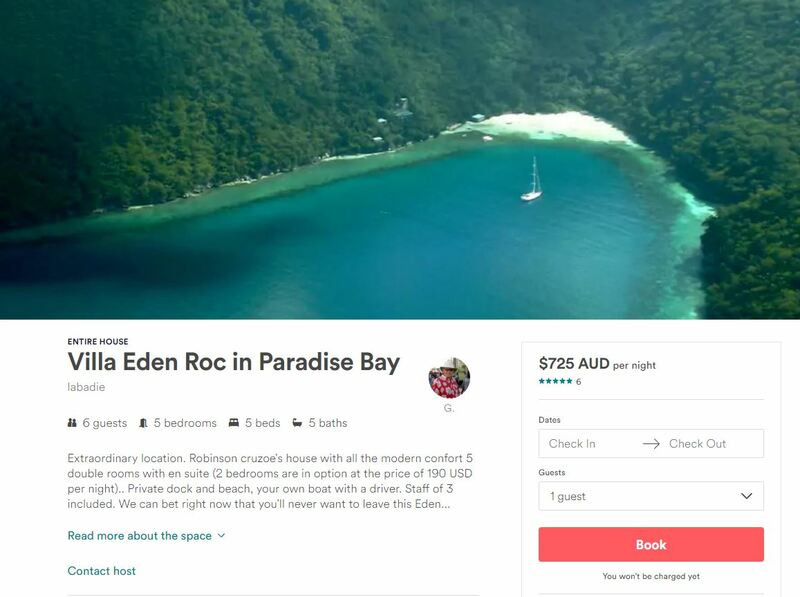 Airbnb has got more than 300 properties listed in Haiti, most of them far less opulent and expensive. By all means, travel to Haiti, and El Salvador, and Africa, but don’t confuse beautiful Instagram holiday snaps with an insight about the best composition of the American (or Australian) immigration program.